Patients whose routine operations have been cancelled due to winter pressures on the Welsh NHS have had an apology from the health secretary. 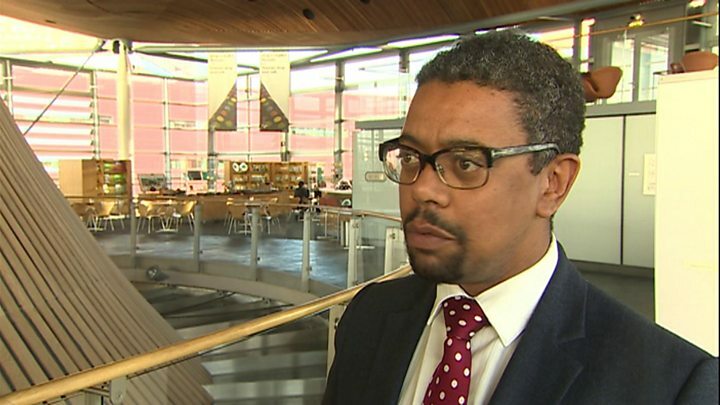 Vaughan Gething said he was "genuinely sorry" if people's treatment had been interrupted. But he maintained the health system was well-prepared to cope with the increased demand on services. Welsh Tory leader Andrew RT Davies called Mr Gething's comments "late in the day" and "just not good enough". 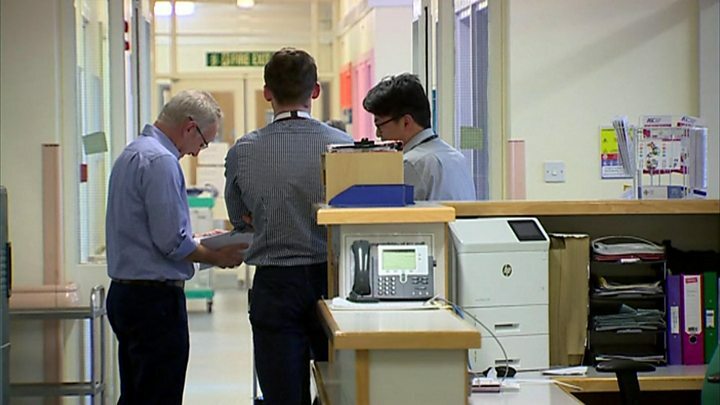 Mr Gething told BBC Wales: "In planning for winter the health service reduces the level of planned admissions for operations in any event but given the pressures we've seen understandably there have been extra cancellations". "I don't actually think that anyone facing a planned operation that's cancelled would say it's more important that they have treatment than someone who is a genuine emergency. "But I'm genuinely sorry if anyone has had their care or treatment postponed because of the pressure we are facing." In November Mr Gething said the health system was in the "best possible position" to cope with winter pressures. Media captionThe Welsh NHS Confederation's Vanessa Young says the service is "starting winter in a more difficult position"
On Thursday, asked about that comment, he responded: "We're as well-prepared as we can be but I also said there'll be days where it will be incredibly difficult and also there are risks and things that we can't necessarily plan for". Mr Davies criticised the health secretary for failing to respond to questions on the issue sooner. "It's a bit late in the day here on Thursday for the health secretary here in Wales only now to be giving interviews on the situation in Welsh hospitals," he said. "That's just not good enough." England's Health Secretary, Jeremy Hunt, apologised on Wednesday for cancelled operations there, as has the prime minister. On Wednesday, the Royal College of Emergency Medicine Wales said emergency departments felt "like a battlefield." Earlier on Thursday, NHS Wales chief executive Dr Andrew Goodall also apologised for treatment postponed due to "exceptional" demand, saying December was the highest month on record for life-threatening "red calls". He said this winter had been a "very challenging period for the NHS in Wales", with the ambulance service seeing a rise of almost 50% in the number of red calls it attended on New Year's Eve. Media captionBetter 'front door' assessment of elderly patients is cutting down stays at a Swansea hospital. Advice service NHS Direct Wales received 11,517 calls between 22 December and 2 January, compared to 9,709 calls in the same period last year, while there were 127,859 website visits. The GP out-of-hours service 111 Wales, which was launched last year and is available in Swansea, Neath Port Talbot, Bridgend and Carmarthenshire, received 11,855 calls. The ambulance service responded to 1,800 incidents on New Year's Day alone - far more than on a usual busy day. Mr Goodall said: "This morning I know that there are 400 patients in our A&E departments across Wales, and around 15% of them are over 85." "The NHS is responding to a very significant degree of pressure, and we have had winter plans in place to support this. "It's also very clear that staff have been fantastic on the ground in responding." "We know that it is always going to be busier. There have been around 400 extra beds in the system. "It is also important that we are adaptable to these pressures and we make sure we can respond to any increases in activity." On the cancelled operations Dr Goodall said: "Any cancellation is a decision of last resort which is in the interest of trying to balance some of the emergency pressures alongside some of the planned care." Stephen Allen's 82-year-old mother Barbara waited on a hospital trolley for more than four hours until she could be admitted to Cardiff's University Hospital of Wales last week. She was taken there by ambulance after feeling unwell following her kidney dialysis and suffering a chest infection. But despite the lengthy wait, Mr Allen praised the staff. He said: "They were working in a very intolerable situation where upon we had multiple patients coming in and basically they had nowhere to put them. "Mum was not very well, she was sleeping thankfully so some of it passed her by... but it wasn't good for her, she was sat on a hard stretcher for a long period of time, which was nobody's fault really, they just had no capacity to be able to put her into a more comfortable position." He added: "People say it's like a battlefield, well it wasn't like a battlefield, it was really well organised. They knew exactly what they were doing, they knew exactly what to do and they just got on and did it. "As always, the NHS stepped up when they needed to." 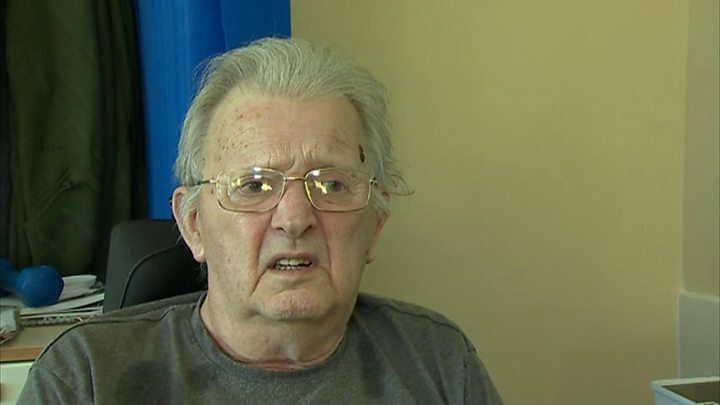 Media captionStuart Holmes has been in hospital in Swansea for eight months, waiting for home care to be arranged. Richard Lee, the Welsh Ambulance Service's director of operations, said there had been "sustained pressure across the whole health system" over the Christmas and new year period. He said in addition to the extra calls, staff had encountered "significant handover delays at hospitals". He added: "We are confident of the robustness of our clinical response model in prioritising the sickest patients first. "However, we recognise that some patients do face longer waits than we would like when system-wide pressures occur, and continue to work with our NHS Wales colleagues and partner agencies to ensure their safety." 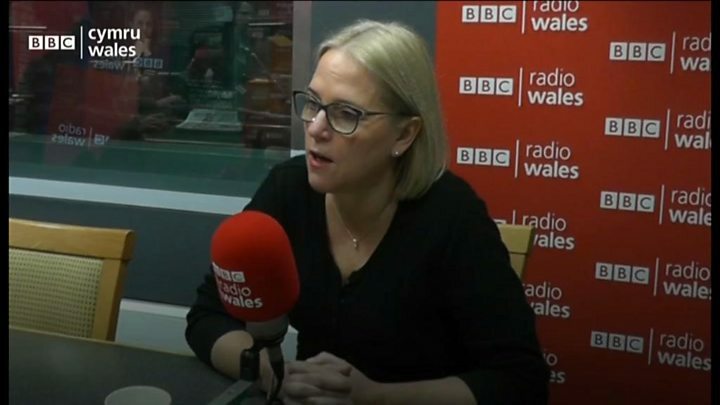 Vanessa Young, director of the Welsh NHS Confederation which represents health boards, said the growth in funding for the NHS this year had been less than in previous years - "so we're starting the year in a more difficult position". "The funding we receive from Welsh Government is very welcome and we're doing what we can to make the most of it." She added: "There is a question in society we need to ask about the type of NHS we want as society changes - we can't expect it to respond when we're being asked to do more and more each year with resources that aren't growing at the same pace." Meanwhile, Plaid Cymru leader Leanne Wood claimed cuts to the number of hospital beds in Wales had put patient safety at risk, and urged the Welsh Government to take action. She said it was "completely unacceptable" the target of having no more than 85% of beds occupied in general and acute hospital services had not been met since 2011. "Experts say that when occupancy is pushed above this level it poses a risk to patients because it can lead to the spread of disease or viruses," Ms Wood said.